To be held at the Tree Farm soccer facility in Essex Jct. These camps are open to ALL High school/Middle school players (Boys and Girls). Players will be working on technical and tactical skills with small sided and full field games. Perfect preparation for your fall season! 2, 3 and 5 day options. To register, please visit our Nordic Soccer Club website and click on Program registration and log into (or create) your demosphere account. 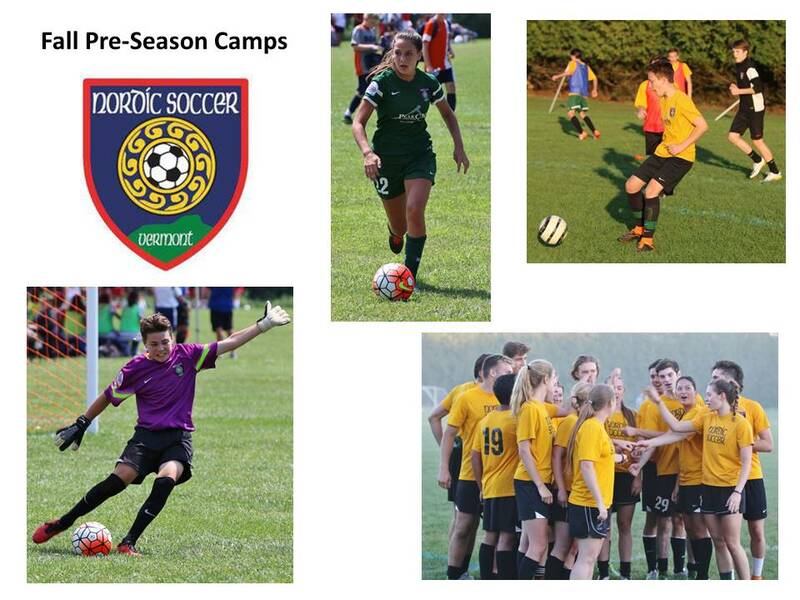 For more information contact Jim Goudie at Jim@nordicsoccer.og or Marcel Choquette at Marcel@nordicsoccer.org or call 802-288-9577.